Welcome & Housekeeping: Jon David is back from the Chicago Pipe Show! Reminder, the shop is moving in early June, date tentative since demolition in the new space has just begun. Also, Mother’s Day is coming up, so, buy your mother a pipe? New CSR Club members announced (Roger Lord and Andrew Lin), and new plaques are put up on the wall (Corey Hayes and Alex Cairns). Huge thanks guys! Topic: Jon David is back from Chicago and talks all about his experience this year and how he went to the show with a huge dose of apprehension and nervousness, but returned renewed, encouraged, and with lots of optimism (cautious) for the road ahead in regards to the community, blenders, and pipe carvers. He encourages everyone to go at least once in their lifetime. He definitely came home with a trove of pipes, so be on the lookout if you’re looking to snag something from The Country Squire! 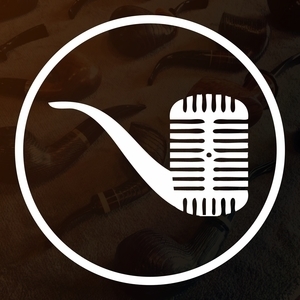 Pipe Question of the Week: Comes in from yours truly, Mark VV! “Jon David and Beau (or Beau and Jon David), I don't think this is one that has been asked before, or at least not as long as I've listened to the show, unless I missed it which is entirely possible. My friend Randy clued me into something I was not aware of. Baking tobacco. Exactly as it sounds, quite literally throwing an unopened tin of tobacco (be it coin-style or American-style sans plastic lid) into the oven and baking it, usually at 200 degrees Fahrenheit for 2 hours, and then letting it rest for a few weeks. From what I've read, this simulates aging by "stoving". What are your thoughts? Does this work, and how might a blend benefit from it over good old-fashioned time-aging? Or is it just a load of hullabaloo? Thanks, and as always, your friend, Mark VV.” Jon David’s response is somewhat expected, at least to me. He was clear that CSR does not endorse or recommend anyone trying this, but has heard, at least from what he’s read, that this seems to be the case, and that this, baking the tobacco at low temperatures, will simulate a tobacco developing some different flavors. But again, he definitely cautions anyone who is looking to try doing this. Don’t burn ya dang house down people! Quick Fire with the Squire: Comes in from anonymous! #1 Read the book and then see the movie (JD and Beau) or see the movie and then read the book. #2 Historical fiction: emphasis on accuracy (JD) or style (Beau) #3 Scary aliens (JD) or peaceful alien (Beau) #4 Supernatural evil (JD and Beau) or real world evil #5 Comedy slapstick or deadpan (JD and Beau) #6 Happy ending (JD and Beau) or sad ending. Tim Houser writes in “I would totally leave Megan Fox for the love of a pipe, I’m just sayin’.” Referencing an earlier show, of course.